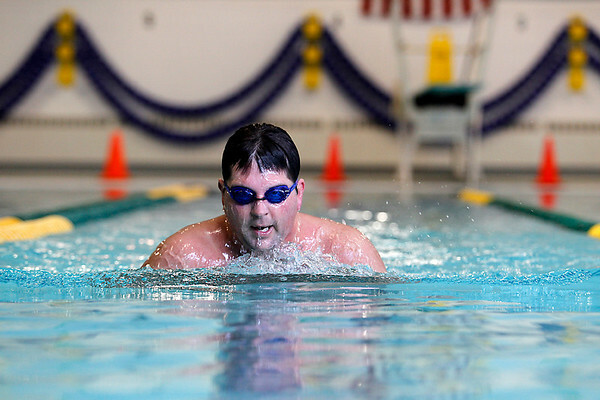 John Cook swims laps at Easling Pool during an afternoon session. He recently purchased a family membership for himself, his wife and children for the pool. The pool could face cuts as Grand Traverse County looks to slash its budget.